Bengali Roshogolla | Find the Popular Place and Food Collection at Travellereat. Bengali Roshogolla – Find the Popular Place and Food Collection at Travellereat. Sweets in Kolkata are as old as its culture. Rasgullas are loved by every Bengali and anyone visiting Kolkata cannot leave the city without salivating on the whiff of sweet aroma your nostrils will catch at every other alley, market, commercial center, and anywhere else you go. 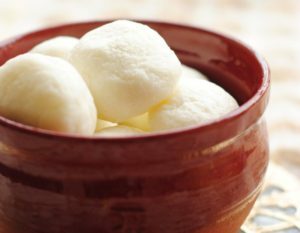 Here are some of the Best places in Kolkata to get this popular & authentic Rasgullas. The winter season makes sweets even more irresistible. Everywhere people use the secret winter ingredient ‘nolen-gur,’ which partially replaces sugar. Bengalis prepare lavish sweet delicacies for all special occasions and festivals. Place: K.C. Das Grandson Pvt. Ltd,P-119, Lake Town, Lake Town, Kolkata. Greetings! I’ve been reading your site for a while now and finally got the bravery to go ahead and give you a shout out from Dallas Tx! Lots of thanks for your support. Your feedback is very important to us. Continuously we are working on it and improving our blog.